Mr. Michael Finamore is the CEO of Gemini Pharmaceuticals, Inc., a contract manufacturer of both dietary supplements and OTC (Over-The-Counter) pharmaceuticals. Under his strategic vision and stewardship, Gemini enjoys robust growth and expansion, standing as one of only a handful of manufacturers with accreditation including NSF International GMP certification, TGA (Therapeutic Goods Administration; Australian FDA) registration and certification, United States FDA registration, Health Canada registration, among others. With emphasis on solid dose R&D and product development, Gemini produces more than 12-billion unit doses of dietary supplements and OTC drugs annually, distributing into more than eighty (80) countries worldwide. Additionally, Mr. Finamore has been selected as the inaugural President of the Governance Board of the GRMA (Global Retailer & Manufacturer Alliance). The GRMA is a member-based organization chartered to strengthen quality and safety throughout the supply chain, with broad industry support of more than 30 major retailers, leading quality certification bodies and manufacturers. Partnering with NSF International, they have created an ANSI-accredited standard to be utilized by all auditing bodies for inspecting providers of OTC Drugs, Dietary Supplements, Cosmetics and Medical Devices. ANSI-accreditation is anticipated for early 2018. Previously, Mr. Finamore was an Assistant District Attorney for the State of New York (Suffolk County), handling both high-profile cases and numerous jury trials, and he continues to be admitted to the NYS Supreme Court as well as the United States Supreme Court. Moreover, Mr. Finamore is a standing member of the American Bar Association as well as the NYS Bar Association, Food and Drug Law Committee. 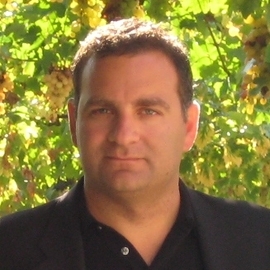 Mr. Finamore also is the executive editor of key industry white papers and frequent expert contributor to important industry publications, such as Natural Products INSIDER. Betsy has over 40 years of retail experience and is currently the Non-Foods Quality Assurance Manager at Wegmans Food Markets, Inc. Her responsibilities include managing all aspects of Quality, Safety and Legal Compliance relating to Non-Foods Products sold in Health & Beauty and General Merchandise at Wegmans. 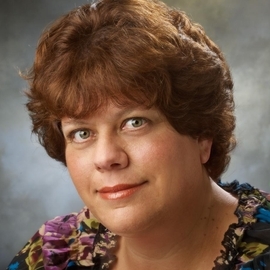 Prior to joining Wegmans, Betsy spent 30 years at Meijer, Inc. During that time Betsy worked in non-food quality assurance for 11 years, was a merchant in various general merchandise departments for 15 years as well as time in HR and Store Management. Before Meijer Betsy worked at Dream House Furniture. 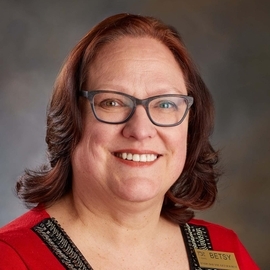 Betsy is a graduate of Davenport University with a degree in Business Management. Wegmans Food Markets, Inc. is an 85-store supermarket chain with stores in 6 states in the northeast. The family-owned company, founded in 1916, is recognized as an industry leader and innovator. 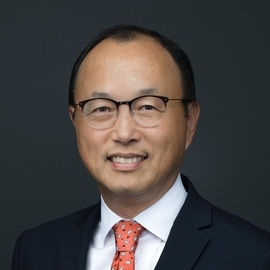 Eugene Choi is the CEO of United Exchange Corp (UEC), a consumer package good provider specializing in sales, marketing, and distribution of health and personal care products to food, drug, and mass retailers. He currently serves as the board of trustees at UCI Foundation to support the broader UC Irvine’s mission of excellence in teaching, research and public service. He is also a member of the Chief Executive Roundtable at UC Irvine. He holds a B.S. in electrical engineering and M.B.A. from UC Irvine and an M.S. in Computer engineering from USC. 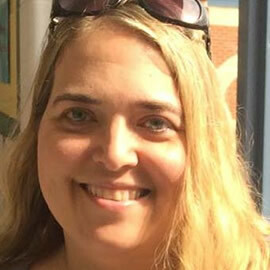 Ella has over 20 years of retail experience and is a Senior Product Safety & Quality Analyst for Global Quality Assurance at Whole Foods Market. 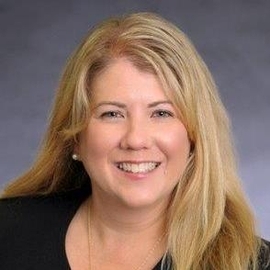 Her current responsibilities include managing the testing and compliance of select Exclusive Brand (private label) categories including body care, household essentials, and high-risk foods. Prior to joining Whole Foods Market, Ella spent 13 years with HEB Grocery Company’s Quality Assurance department and 2 years as an SQF Auditor for NSF International. Ella holds a Bachelor of Science in Biomedical Science from Texas A&M and a Master of Business Administration from Webster University. Whole Foods Market Inc. specializes in selling organic and natural products. It has 494 stores in North America and the United Kingdom. Its Global headquarters is located in Austin, Texas.